Wow whilst doing research for my essay came across this beautiful illustrator. 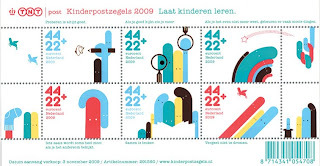 His stamp designs are from the Netherlands, why aren't ours as cool as this. I might get in contact with him as part of the next stage of my development for the Silence Brief, He would be perfect to talk too!